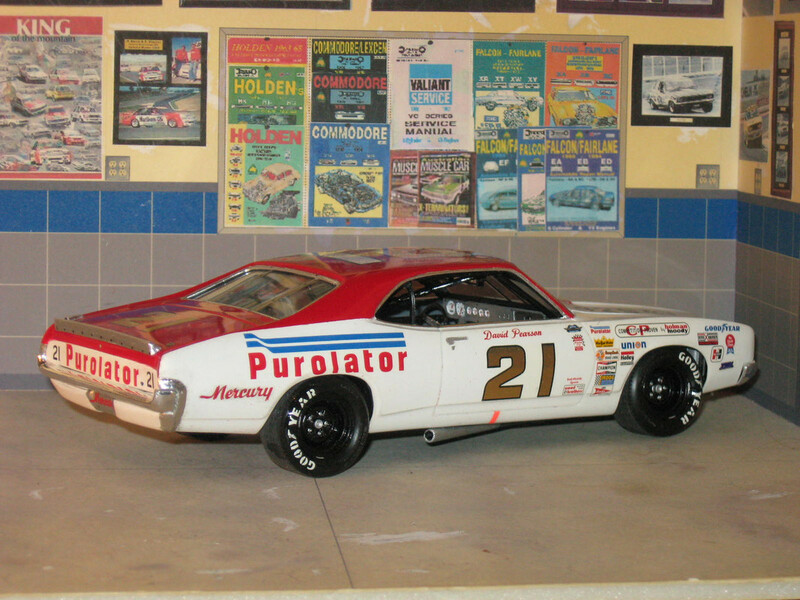 that car and Bobby Allisons Coke cars are my all time favorite Grand National/ Cup cars. You did a beautiful job. You're killing me Tony! 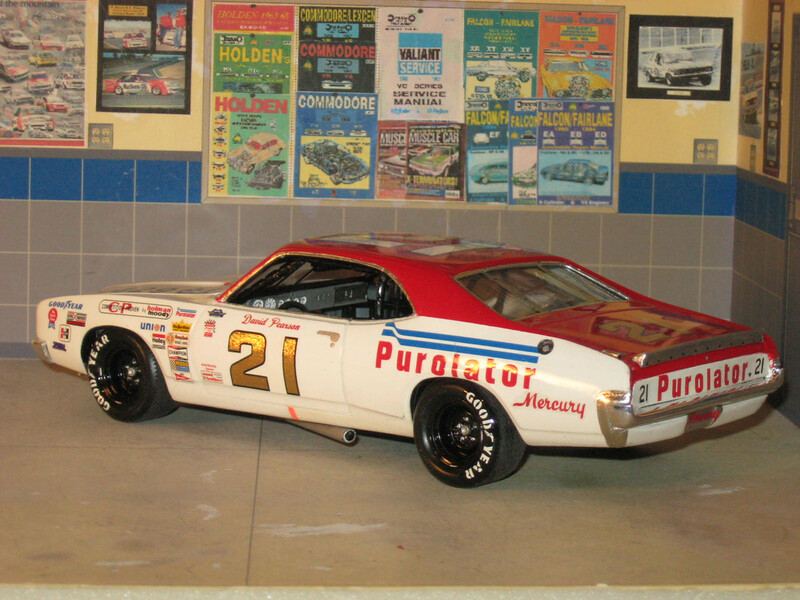 I have the same car going, I think mine is a little later in 73 then yours, been studying pictures and video from 73 Southern 500. I love what you did with the grill, I've been thinking I'm getting a stock Grill and front bumper from Missing Link but you've made the kit supplied one look great. Another outstanding build, congratulations! 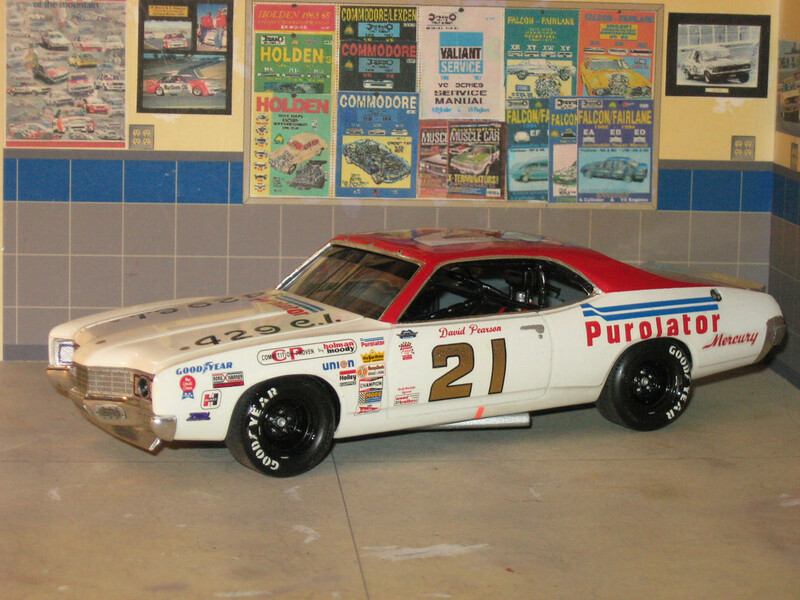 This is a car that changed quite a bit from race to race in 73, what did David do that year, what was it, 11 wins out of 14 starts? 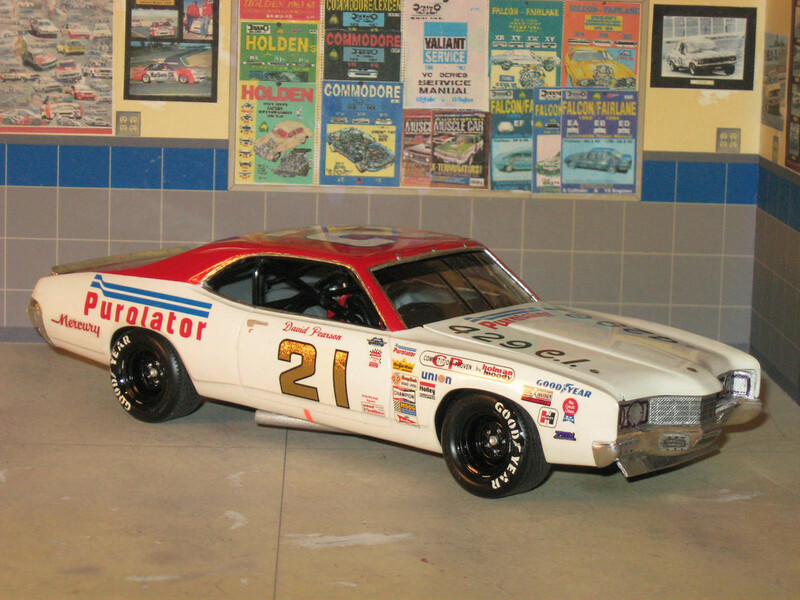 Great looking race car, Tony! Looks great!!! Love the posters too! Beautiful! I think detailing the front grill and bumper is the most challenging part of this model. Nicely done. I totally agree Firefly, that's why I'm looking at using a reproduction resin piece on my next one. It's not just the detail of the grill that's an issue, it's the way that the grill bumper combo and the hood fit. But for me personally, the guy who never builds anything out of the box,(and as a result doesn't have anything finished,) I like the challenge. I just finished adding the character line to the center of the hood last night and I'm showing a lot of progress on mine. I am in also in the process of making arrangements to post some pictures, finally. That is just soooooo sweet!!! Very well executed build. Thanks for sharing. And rightly so. Fine work.